I firmly believe that great vineyards were not planted by coincidence. Some places possess a character, an energy…, a potential that elevates them regardless of the effort done by the people cultivating them. Of course, density, choice of vegetal material, keeping the vines and grapes healthy is very important, but ultimately, the making of a great wine is a mystery. 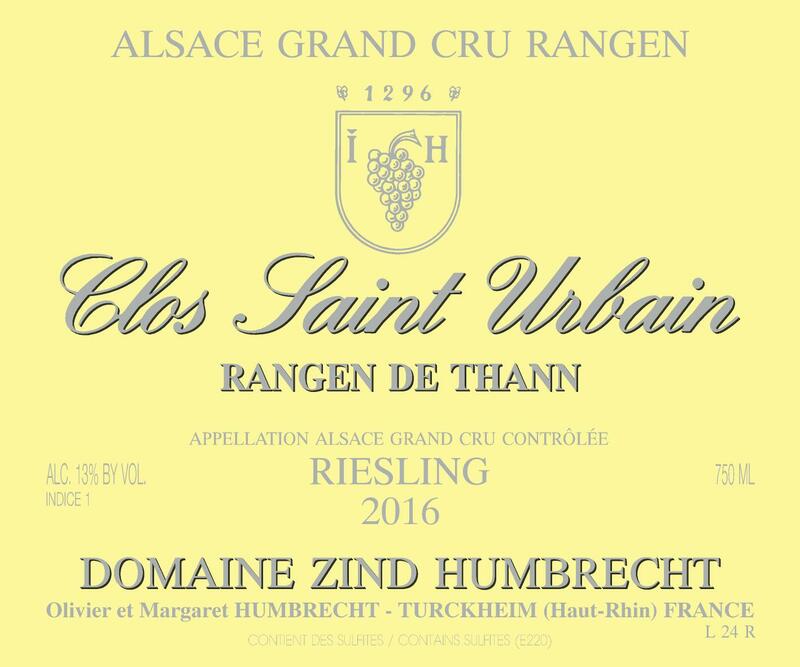 The Grand Cru Rangen is such a place. Dramatic setting, steep slopes above the river Thur and this unique volcanic soil add to the character of the wine. 2016 wasn’t a big crop in The Rangen as the vines struggled to finish the flowering in good condition. The Riesling Rangen was the first wine to finish ferment bone dry. The grapes had rich yellow colour, having had a long time to mature after the flowering. 2/2018: bright yellow colour. The nose is full, intense, showing a great potential. The long sunshine hours from Summer and Autumn bring an intensity only achieved in rich years. There is a complex combination of ripe fruits and raw smoke on the nose, so typical of this volcanic soil. The palate has a juicy, high acid structure, enhanced by some natural skin tannins. It finishes dry, steely, with a savory bitterness. This wine begs for food! And also some further ageing.